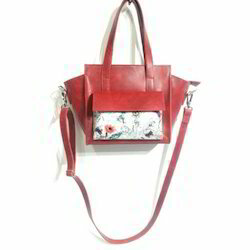 We are offering Unique Girls Sling Bag. Known for our reasonable pricing, we are readily instrumental in providing an inclusive variety of Designer Handcrafted Bags. All Things India Exim Pvt. 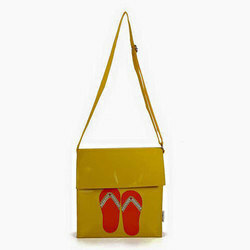 Ltd.
Our assortment of designer bags can be availed in various colors and patterns. These designer bags are manufactured using various quality raw materials and can be availed from us in customized forms. Our velvet floral bridal purses are unique in appearance. Heavy work is found in our purse which is applicable for wedding ceremony. We take special care in terms of packing making sure that the purse remains intact. This utility structured tote of snake print with front weave is to accessorise with your clothing to carry your everyday essentials .